Love your promotional lip balm but looking to switch it up a bit? 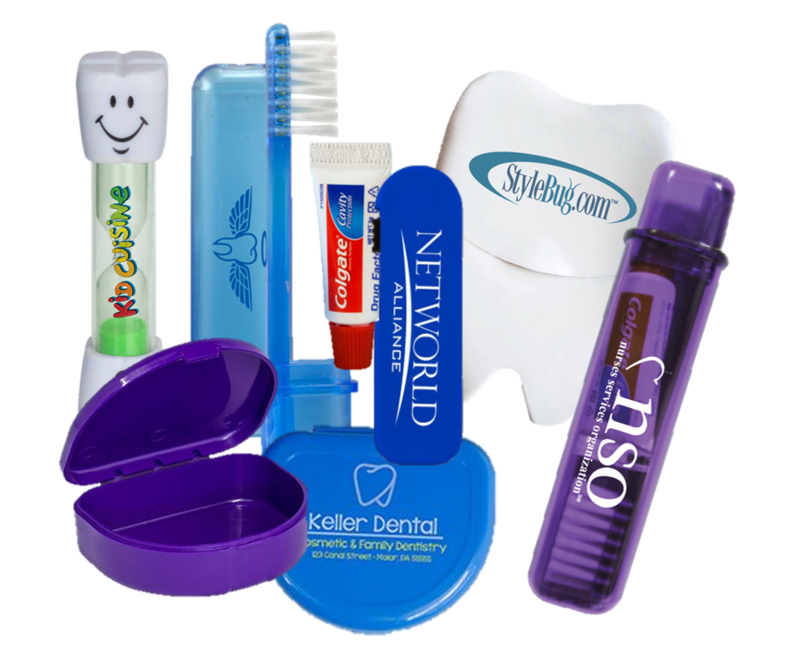 Try adding a custom dental product to your promotional arsenal. At the Custom Lip Balm Store, we offer more than just lip balm! We also have a great selection of dental items perfect for Dentists, Orthodontists, and Pediatric Dentists to send home with their clients to not have your name in front of them daily, but also offer a way to keep their teeth and gums healthy. It’s a win-win for everyone! We have a fantastic selection of dental gifts, including toothpicks, folding and travel toothbrushes, and a toothbrush with a travel toothpaste. There are several styles of dental floss, including tooth shaped, credit card style, and even one on a key chain. Our Smile Two Minute Brushing Sand Timer is wonderful for younger brushers, and our Retainer Case and Orthodontic Pack are great for people getting braces. If you want to get kids started out in the right direction, our Happy Teeth Dental Kit is ideal for new patients, and includes a travel sized toothbrush and toothpaste, tooth-shaped dental floss, tooth-shaped mint card, Smile 2 Minute Timer and a tube of our classic lip balm all in a zippered pouch!